A celebrated wartime classic by a major author. Bill is a fifteen-year-old runaway evacuee, and he’s finding that surviving on the streets of London is pretty easy, thank you very much. He’s fed by a local cafe owner and earns some cash as a barrow-boy in Covent Garden. Sleeping in the Underground air-raid shelters is even quite cosy – if a bit smelly. But then Julie turns up. She’s a runaway too – a bit posh, but just as determined as Bill to stay free of interfering parents and ‘the social’. But although it’s fun for a while to duck Jerry missiles and camp out in bombed-out houses, the reality of living through the Blitz quickly begins to set in. 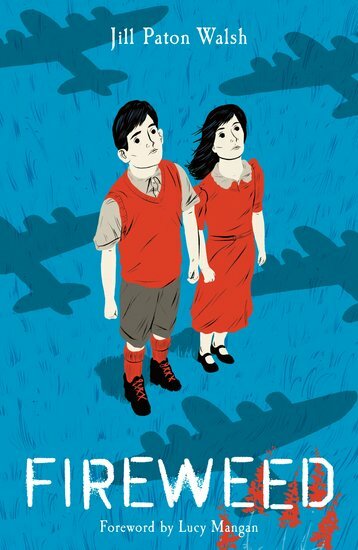 Winter is coming, and Bill and Julie will learn that playing at being grown-ups can be a very dangerous game… First published in 1970, and winner of that year’s Book World Festival Award, Fireweed evokes a time of tin Spitfires, powdered eggs, warm woollen mittens and reading by firelight.